Niches are an innovative way to create a beautiful yet practical feature within your bathroom or kitchen renovation. Definition: niche – n. noun (1) A cranny, hollow, or crevice, as in rock. (2) A situation or activity specially suited to a person’s interests, abilities, or nature as in: “found her niche in life.” (3) A recess in a wall, as for holding a statue or urn. When we hear the word niche, it brings to mind ones’ specialty or talent. However, when you’re “niche” is renovating bathrooms and kitchens, another meaning is ever present. 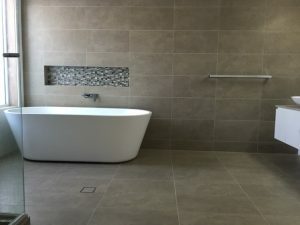 Let me introduce you to the fabulously decorative and incredibly functional niches we at Master Bathrooms and Kitchens create on a daily basis. Incorporating a niche in your bathroom or kitchen can create a feature that completely makes the room. 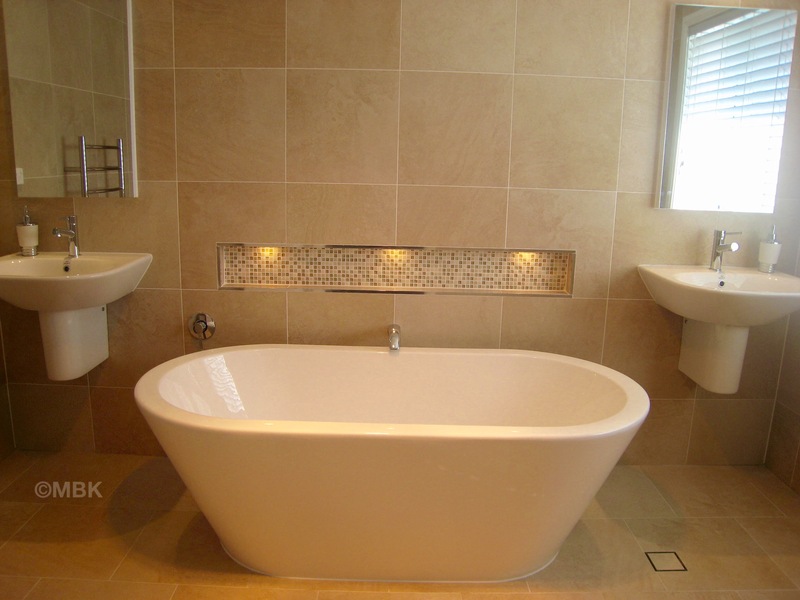 Having a niche above the bath with down lights or led strip lights, is an amazing effect. The niche can be tiled with the same colour tiles as the other walls, or to really make it stand out, a contrast tile can be used. Niches above the vanity are not only decorative but also useful as a shelf. The most practical use for niches however, are in the shower. Incorporating a niche in the shower with one or two shelves not only looks good, we can use these for our shampoos and conditioners and no longer need to worry about hitting ourselves on protruding shelves. A small, low, completely tiled niche in the shower can become a footrest. 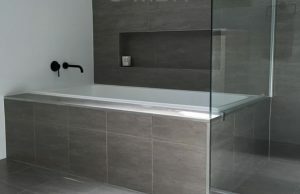 Niches in the shower are a fantastic way of decluttering a small space whilst being decorative at the same time. Niches can be incorporated anywhere in the house, including the kitchen. 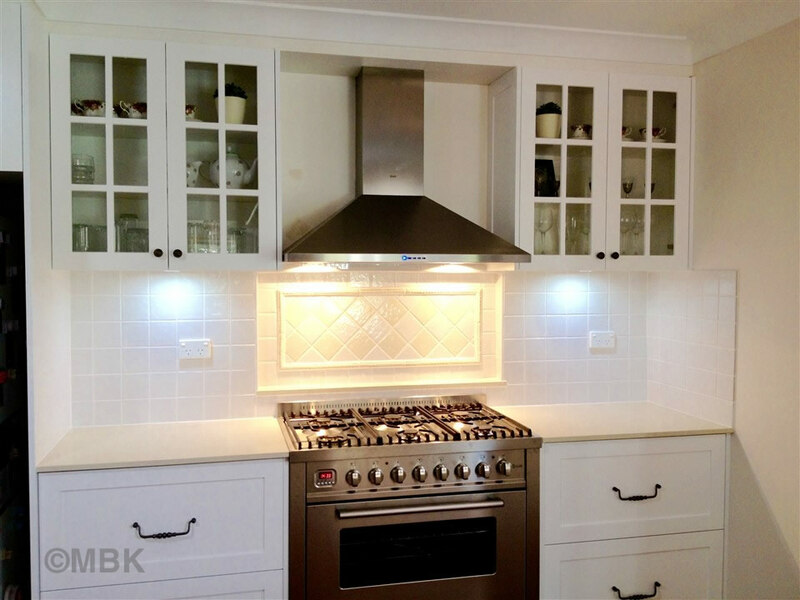 Using them for shelving is a practical idea for spices, cups etc, however using them in the main hub of the home, nothing quite sets off a kitchen like a gorgeous vase or ornament set under a downlight. The possibilities for niches really are quite endless. So if you are planning to renovate your bathroom or kitchen, keep the word “niche” in mind. 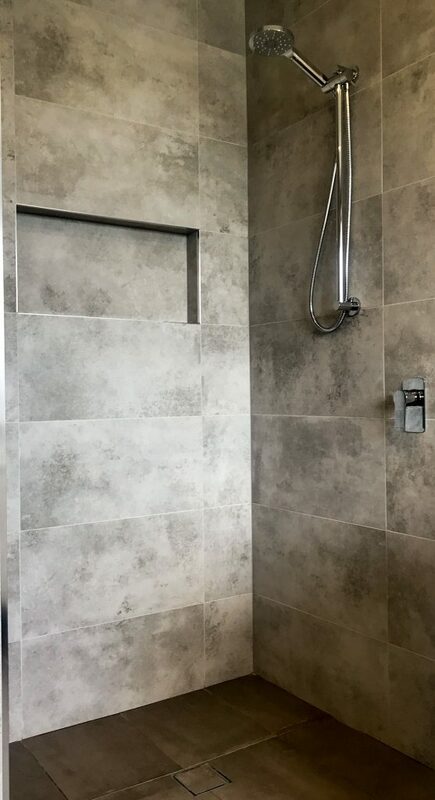 We at Master Bathrooms and Kitchens consider niches to be one of our specialties, so call us on (02) 9899 9330 for a free measure and quote or be sure to peruse our website for more renovation inspiration. 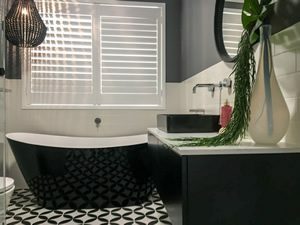 Gorgeous black & white bathroom with floor tile used a feature wall with decorative niche – bathroom renovation by Master Bathrooms & Kitchens. 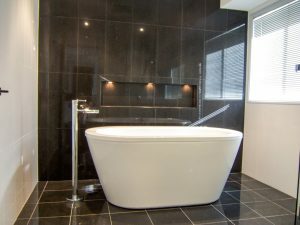 Watch our video below of just some of our beautiful bathroom & kitchen renovations.